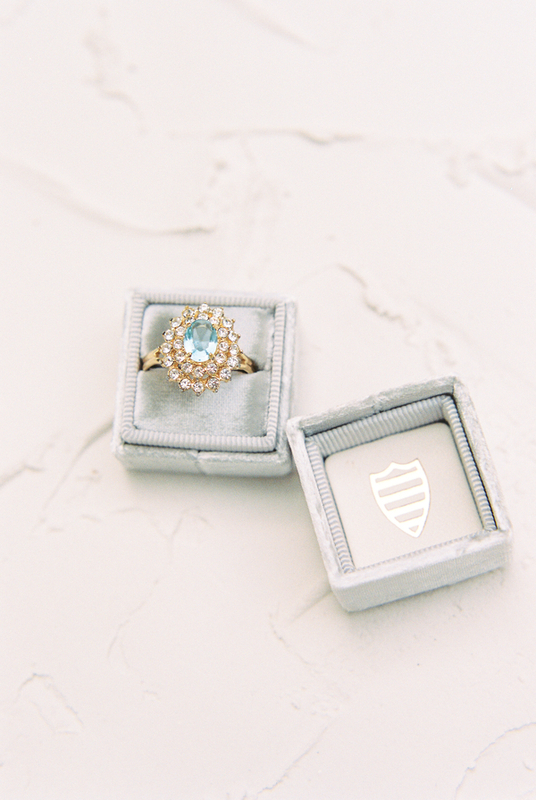 This next styled shoot will make you long for sweet summer days! 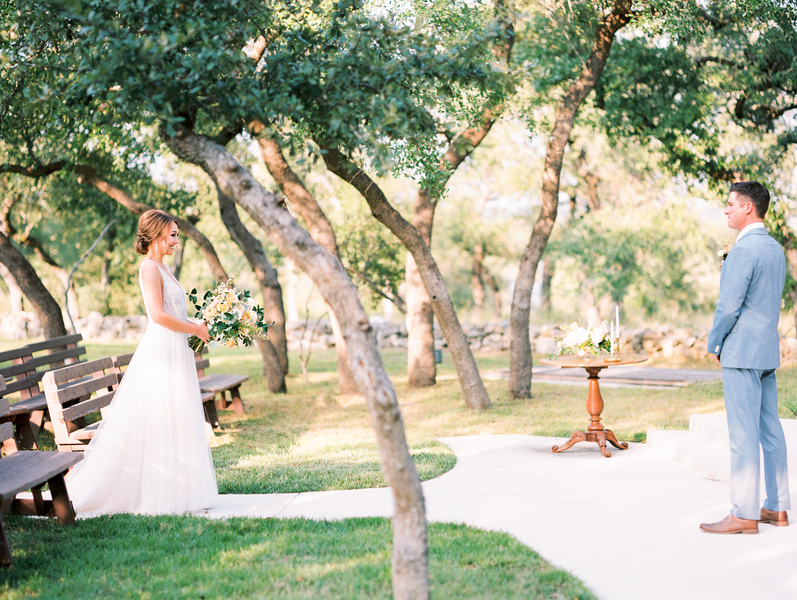 Laura Ridge Photography had the honor of capturing this vintage styled Wimberley wedding. And we're so glad she sent it our way to feature. 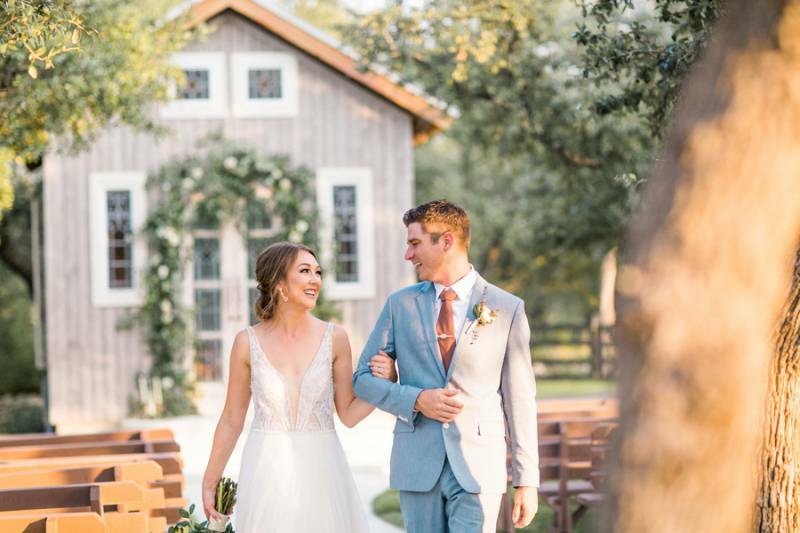 The baby blue, peach, and ivory color palette is the perfect complement to the rustic yet sophisticated surroundings of The Firefly Farm. 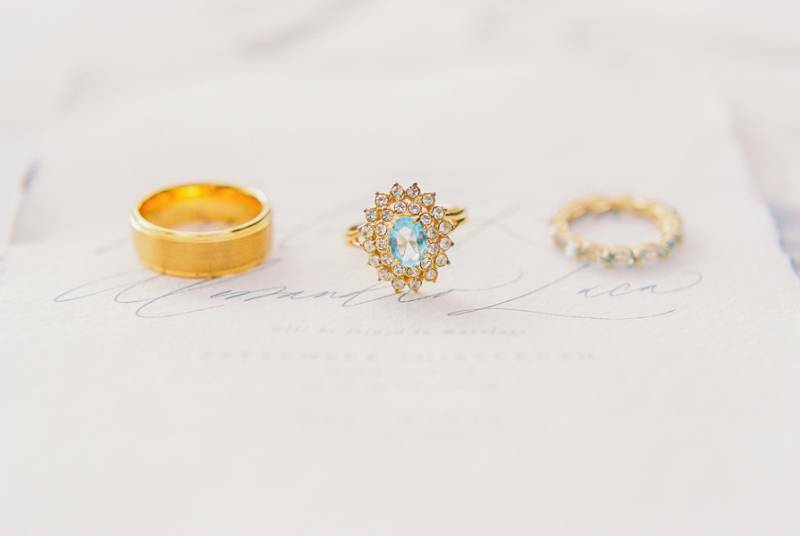 The vendors pulled together some amazing decor elements to make a styled shoot any bride would want to emulate for her wedding. 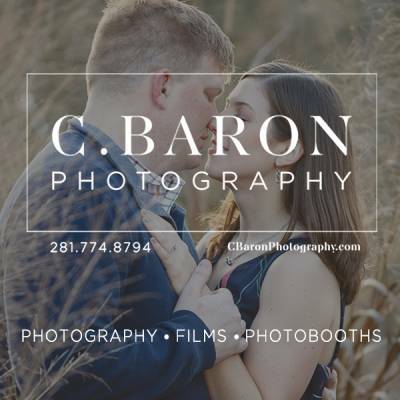 Hop on over to the gallery for even more gorgeous images. 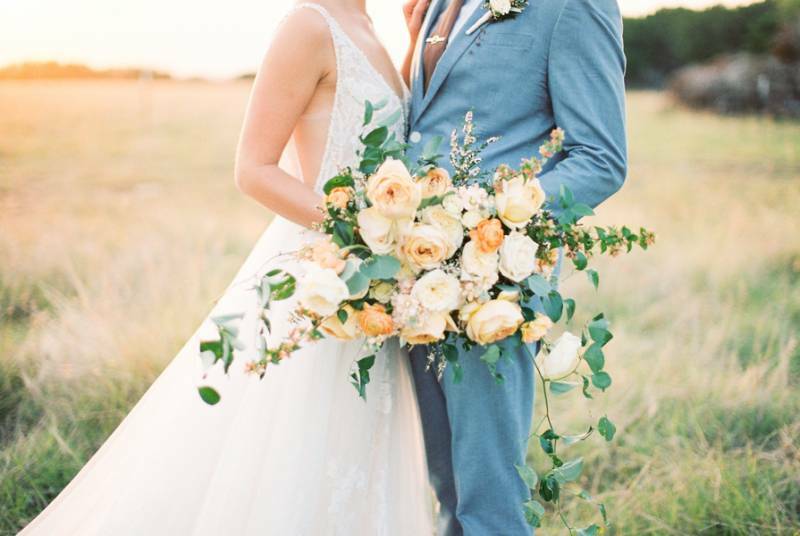 From Laura Ridge Photography...Peach and ivory floral arrangements paired with mixed metal fixtures of pewter and rose gold beautifully accented the rustic outdoor chapel of The Firefly Farm in Wimberly, Texas. 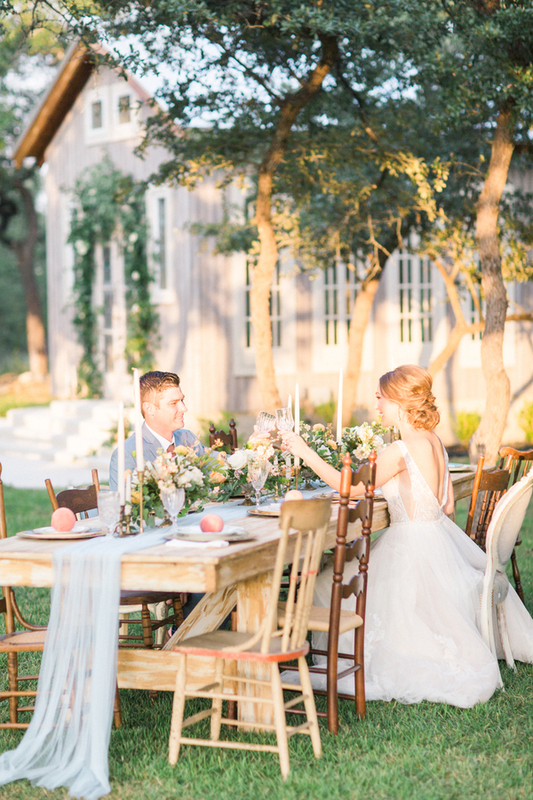 The Austin area hill country venue offered the perfect setting for this vintage styled wedding shoot. 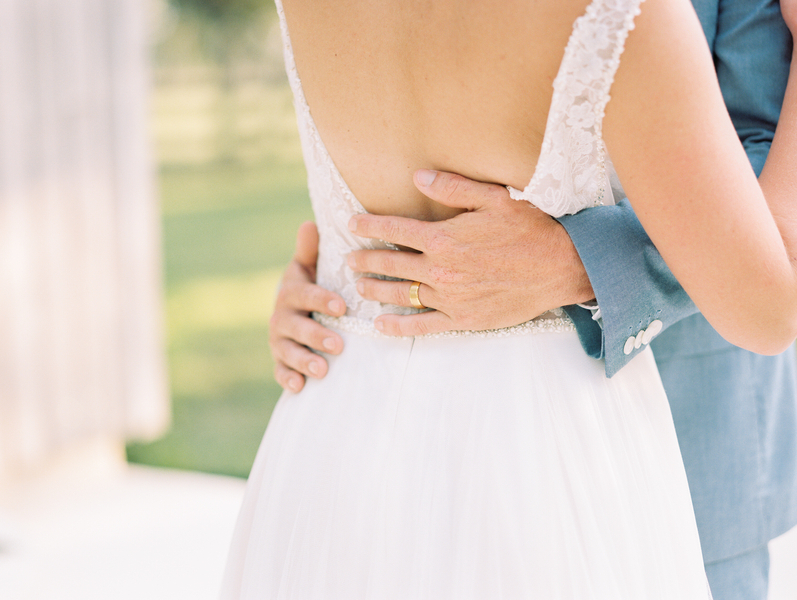 Our bride wore a simple yet elegant gown down the aisle between the live oaks to her waiting groom. Lush garlands accented the already gorgeous antique stained glass doors of the chapel and perfectly framed the bride and groom. A delicate handmade invitation suite invited friends and family. Delicious cakes and cupcakes were served for desert. 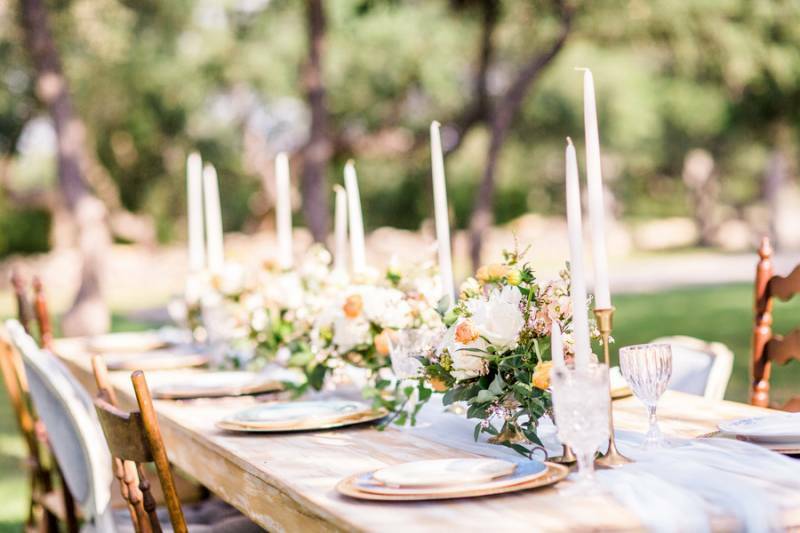 Vintage china and crystal goblets adorned the farm table with mismatched chairs that sat invitingly beneath the wandering oaks surrounding the chapel.